The Economist is highlighting the impact of food waste on the environment with a series of events around New York. 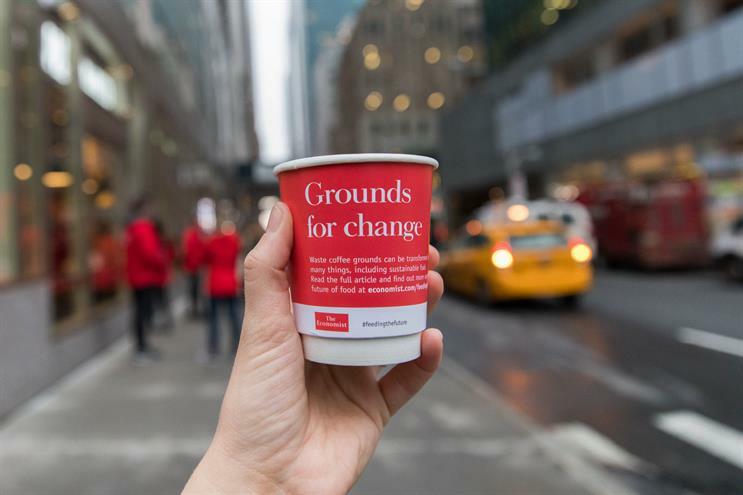 The business and world affairs title is touring the city with a coffee cart to highlight different uses for used coffee grounds. Visitors who stop for a free coffee can choose one of two uses for their used grounds: transportation to a compost site to be used for use on local farming and gardening; or to create soaps, scrubs and candles. Marina Haydn, senior vice president for circulation and retail marketing, said: "The campaign brings The Economist’s mind-stretching journalism to life and challenges potential readers to consider new ideas and solutions to reflect on more environmentally sustainable approaches towards food production and consumption."